I got these hot pink studs from Born Pretty Store and I wanted to combine them with black but all blacks I have were too thick to use. After searching and trying to come up with another color combination, I stumbled upon a black I bought years ago and it still looked usable. Thanks for reading! 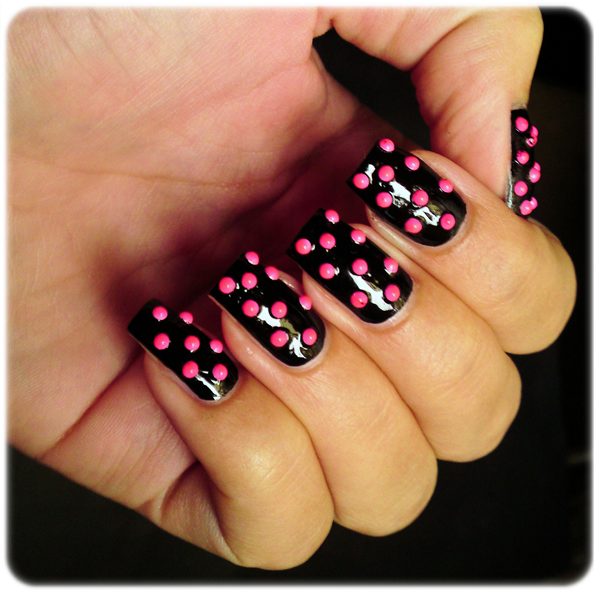 Let me know what do you think about this manicure! Can you stand the bumpy surface when wearing studs or rhinestones? ^_^ Is there a tutorial you would like to see? this looks amazing Ivana. How long did the studs last or do they fall off easily? this is soooo cute!!! 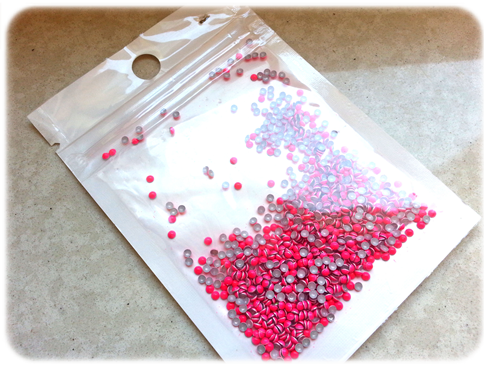 Love the color pink of the studs!! very very pretty! Love the color combo! you have such an amazing talent :) I love this!